ATLANTIC BULK CARRIER Founded in 1971 by Gary Short, we are still a family-owned and family-run company. Our operations cover the United states and Canada, but are primarily concentrated along the East Coast. We have drivers and managers based throughout the Southeast. Our goal is to provide the safest, most reliable service to our customers. Our drivers and managers are the key to achieving this goal and we are here to support them in doing that. ATLANTIC BULKCARRIER donates equipment to our Diesel program that students can practice on. BREMAC is a residential and commercial HVAC provider. We solve problems. Our NATE certified technicians are highly trained in using the latest diagnostic tools to ensure a proper diagnosis. We service all brands of HVAC equipment. BREMAC is a name you can trust, guaranteed. BREMAC donates equipment to our HVAC program, for students to work on and gain experience. Family owned and operated since 1939, Bruce Auto Parts strives to be a leader in the Automotive Recycling Industry. We carry late model domestic and import cars and trucks that are mostly 10 years old or newer. Every year we buy over 1,000 later model domestic cars and trucks to replenish our inventory of over 100,000 parts, to serve your auto parts needs. We have a staff of 6 professional sales people to answer your questions. We provide installation of engines and transmissions. To show the confidence we have in our parts, we offer a standard 100-day part warranty -- one of the best in the industry. We are also prepared to offer extended warranties, just ask our sales staff for details. For our customers we offer 5 trucks daily for local and out of town delivery, please check with our sales staff. Bruce Auto Parts has stayed as a family owned business in the same location since 1939 by treating customers with honesty and respect. We take an interest in every single customer, and we aren't satisfied until you are satisfied. We have parts from over 2500 recycled cars; tens of thousands of individual parts, organized and carefully stored to fill your needs quickly. Bruce Auto Parts has donated generous amounts of needed equipment and parts to the Diesel Technology program on several occasions. Since 1952, Carter Machinery has had a hand in the success of numerous construction, mining, forestry, and industrial operations throughout our assigned territory. We've grown to be one of the leading Caterpillar dealers in the U.S. with over 20 locations and 1,100 employees. Our technicians, technical advisors, salespeople and support staff have an old-fashioned devotion to doing the job right, because they know a solid reputation is built one satisfied customer at a time. Carter Machinery supports the our Diesel Technology class with equipment and software donations. Carter Machinery is an active member of the Bridging Communities Diesel CTE Advisory Committee. CRH Catering, founded in 1967, is recognized as one of the top vending and food service management companies located in the Mid-Atlantic area that specializes in contract dining, catering, micro markets, and vending machine services. Through general growth and acquisitions, CRH has expanded to eight divisions, two satellite distribution facilities in Virginia and Maryland, a full-service commissary, a depot for parts and equipment refurbishment, and a purchasing office. CRH Catering has approximately 190 employees. CRH Catering Company provides vending and food service management to well over 2,000 accounts: including Safety Rest areas, Welcome Centers, Colleges and Universities, Government and Institutional, Retail, Private Business, and Industry. CRH also maintains outstanding allied partnerships with many national vending management companies including Sodexho USA, National Vending, Universal Vending, and International Vending Management. In 2007, CRH advanced its partnerships to include USConnect. Initially, through the development of joint marketing and purchasing programs, the affiliate member partners of USC achieved mutual benefits through the supply chain. This led to the development of cutting edge initiatives that were designed to benefit all clients of each affiliate member. CRH marketing and purchasing programs are administered through partnership agreements between major vend product manufacturers and USC. It is the goal of USC to have limited, but very strong and sound partnerships with each affiliate member, including CRH. Because of this, CRH is the only partner with USC covering its territories within the states of Virginia, Pennsylvania, Maryland, and West Virginia. CRH Catering Company, made a generous donation of snack and soda vending machines filled with items, to Bridging Communities. Proceeds from the vending machines help offset student fees associated with competing at district and state competitions held by student organizations. CRH has donated condenser units to our HVAC class to work on. A regional power leader, Cummins Atlantic is a corporation of complementary business units that design, upfit, distribute, and service electric power generation systems, engines, and related technologies, including fuel systems, controls, air handling, filtration, and emissions solutions. Cummins Atlantic has donated software and equipment to our Diesel Technology program and is an active member of the Bridging Communities Diesel CTE Advisory Committee. James River Equipment donates equipment to our Diesel Equipment class and is an active member of the Bridging Communities Diesel CTE Advisory Committee. Malco Products, Inc. got its start in 1950 when a young steel supply salesman, Mark W. Keymer, decided to manufacture and market a pipe crimper he had invented for use in installing the “new” sheet metal ductwork used with forced air heating systems. Today Maloco Products, Inc. is the nation’s leading manufacturer of “tools of the trade” for HVAC (Heating, Ventilating and Air Conditioning) professionals. In 1975 Malco also created a vital specialty tool market for EXTERIOR REMODELING professionals (Installers of Roofing, Siding and Gutter) and holds the leadership position in that niche as well. Corporate headquarters and manufacturing facilities are located in Annandale, Minnesota, just outside the Minneapolis / St. Paul metoplex. Malco continues its founder’s tradition of leadership and innovation by addressing a changing industry landscape and responding to emerging market needs for new specializations and more customized products and services. Bridging Communities participates in The Malco "Head of the Class" Award Program. Malco recognizes our top graduating HVAC student each year. That student receives a free tool and Head of the Class Certificate. 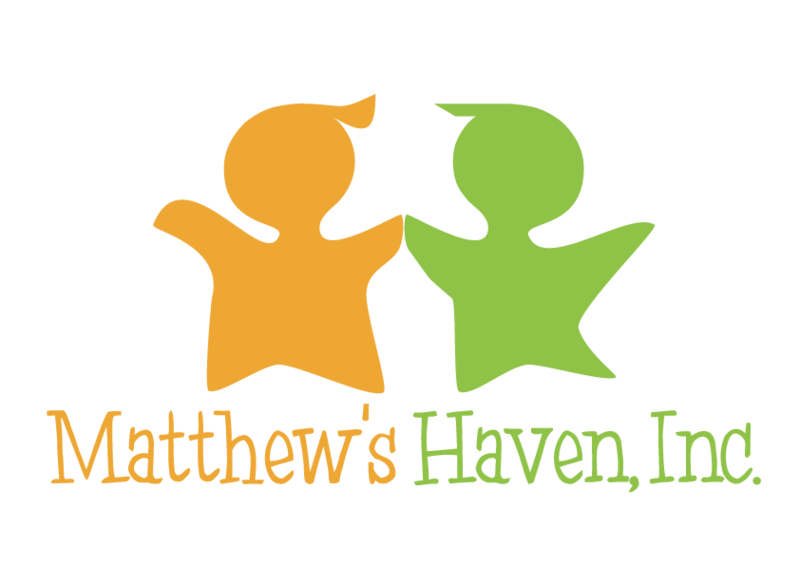 Matthews Haven provides basic necessities such as gently used children’s clothing, baby equipment including cribs mattresses, strollers, swings; other supplies including diapers, formula and baby food. Assistance cam be provided to the families for energy and food cost. Under extreme circumstance, and when funding allows, rental assistance can also be provided. No cash is directly provided. All payments for energy, food and rental allowance are paid directly to the companies providing the services, government social service agencies, local school systems, churches and other nonprofit organizations. The Matthews Haven website was created and is maintained by Bridging Communities Web & Coding students. Bridging Communities holds food drives for Matthews Haven and participates in thier "Give A Child A Christmas" program as part of service learning projects. Quin Rivers, Inc. is a ten-jurisdiction non-profit and Community Action Agency serving the needs of low-to-moderate income residents in East- Central Virginia since 1970. Our work focuses on a variety of areas, such as: Domestic and Dating Violence; Sexual Assault Prevention and Remediation; Healthy Families Early Child Development; Housing and Mortgage Counseling; Project Discovery College Entry Preparation; Virginia Dominion Energy Share; USDA Micro-business Loans; Business and Job Development; and Grant Writing and Project Development for our jurisdictions served. Bridging Communities Web & Coding students maintain the website for Quin Rivers. Rappahannock Community College (RCC) is a two-year public institution of higher education in the Virginia Community College System (VCCS). It is one of twenty-three community colleges that make up the VCCS. Established in 1971 as a comprehensive community college, RCC serves the residents of Essex, Gloucester, King and Queen, King George, King William, Lancaster, Mathews, Middlesex, New Kent, Northumberland, Richmond, and Westmorland counties with quality, accessible, and affordable educational opportunities, and is governed by policies set by the Virginia State Board for Community Colleges with support and advice form the RCC local Board. Funding for the college derives primarily form student tuition, followed by state appropriations, grants and local funds contributed from the twelve counties that make up the RCC service area. Rappahannock Community College is a member of the Bridging Communities Advisory Council & the Bridging Communities CTE Advisory Committee. They have helped develop curriculum and provided valuable equipment and resources for our programs. RCC offers dual enrollment credit for the criminal justice, culinary arts, HVACR, nurse aide, pre-engineering, and web/coding programs.